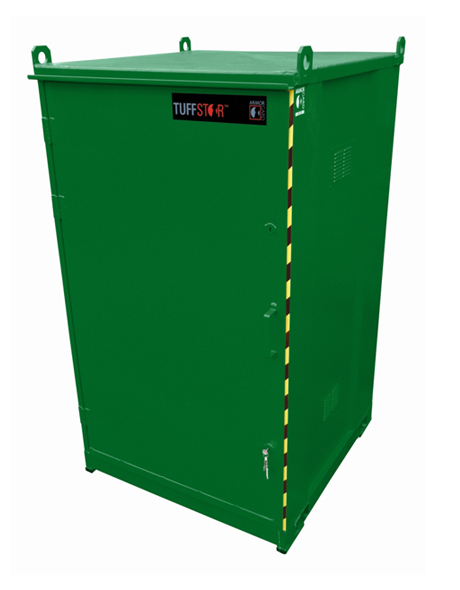 Tuffstor 1200x1200x2100, Walk-in security store designed for fixed installation, Manufactured to the highest specification for the security of larger quantities of valuable equipment. 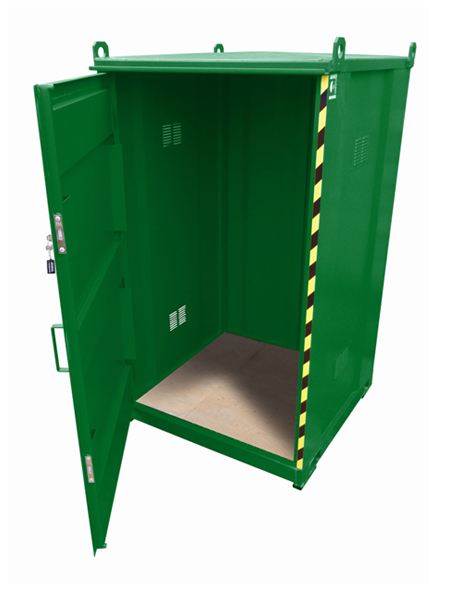 Manufactured to order to allow for any bespoke requirements, Heavy duty door fitted with two 5 lever deadlocks, Fixed internal shelved in all units, Durable green paint finish, Fork lift pockets and crane lifting eyes. Can be custom built to suit specific requirements. Send me Exclusive Offers & Discounts!